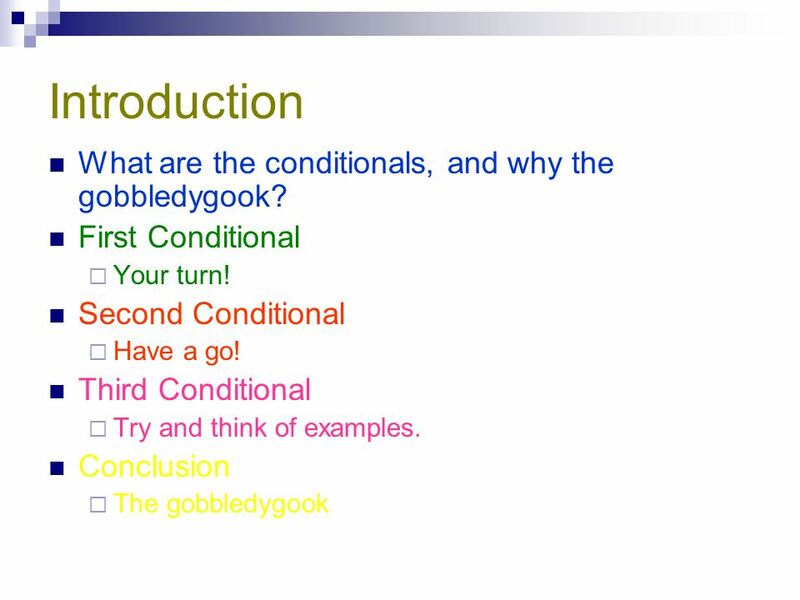 2 Introduction What are the conditionals, and why the gobbledygook? 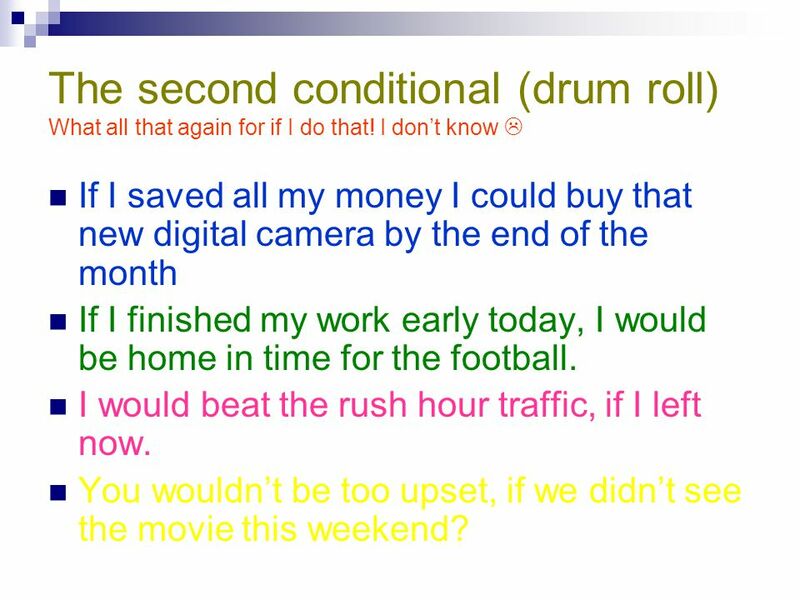 3 What are the Conditionals? 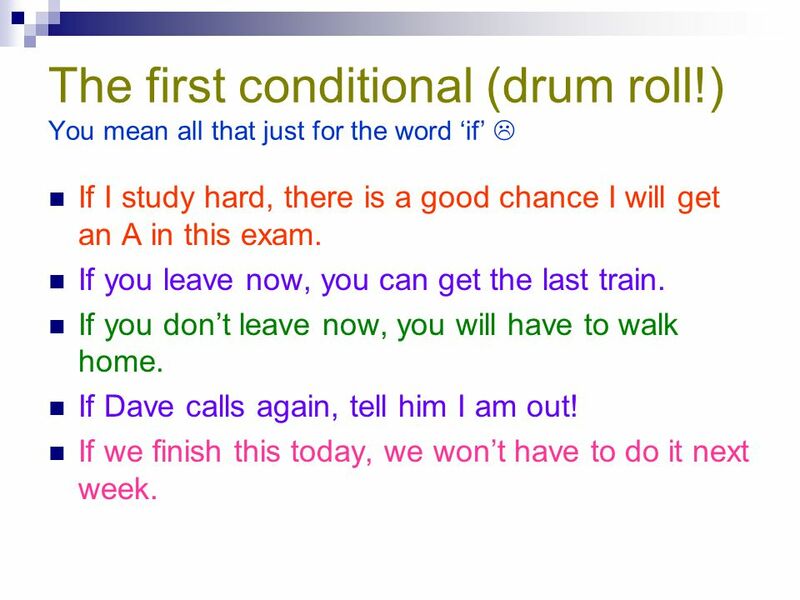 The first conditional (drum roll!) You mean all that just for the word ‘if’  If I study hard, there is a good chance I will get an A in this exam. If you leave now, you can get the last train. If you don’t leave now, you will have to walk home. If Dave calls again, tell him I am out! If we finish this today, we won’t have to do it next week. 5 Your turn! 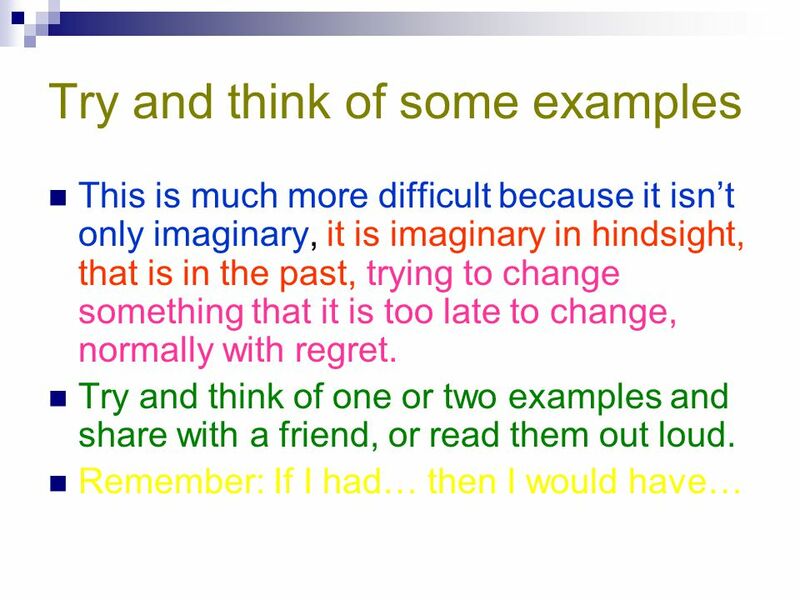 Think what things you can say with the word if, similar to the sentences on the last slide. 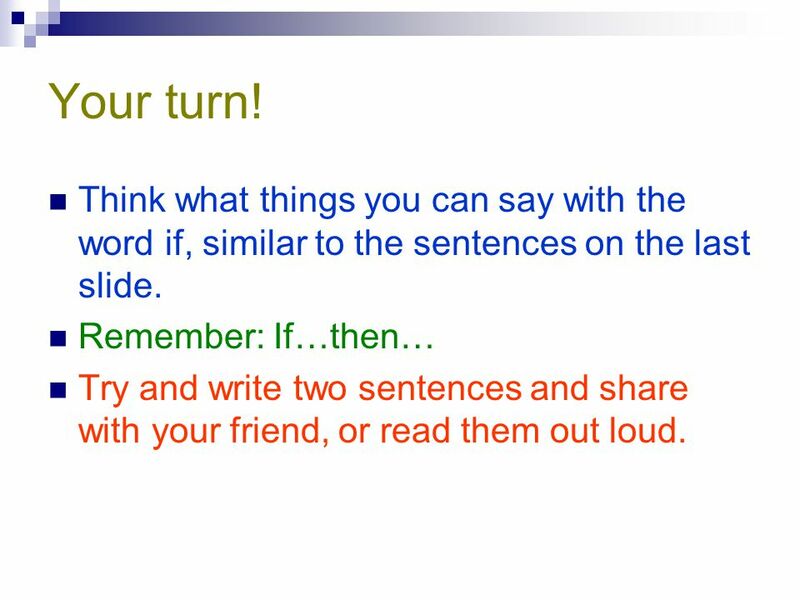 Remember: If…then… Try and write two sentences and share with your friend, or read them out loud. If I saved all my money I could buy that new digital camera by the end of the month If I finished my work early today, I would be home in time for the football. I would beat the rush hour traffic, if I left now. You wouldn’t be too upset, if we didn’t see the movie this weekend? If I had known that, I wouldn’t have bought the thing in the first place! If only I had worked harder before the test, now I would not have retaken it again. If you had done that yesterday, you wouldn’t have had any work today. If we had looked through this paperwork last month, we could have cleared this mess up by now, couldn’t we? 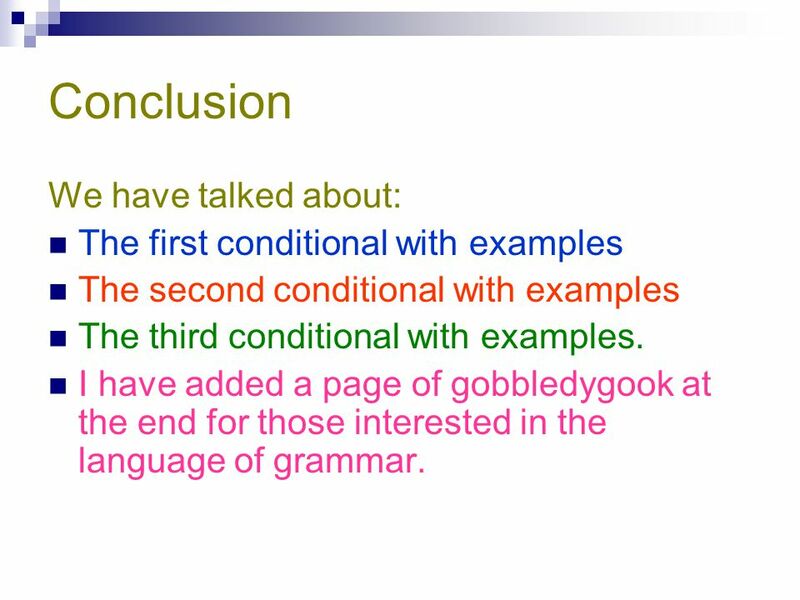 The second conditional with examples The third conditional with examples. 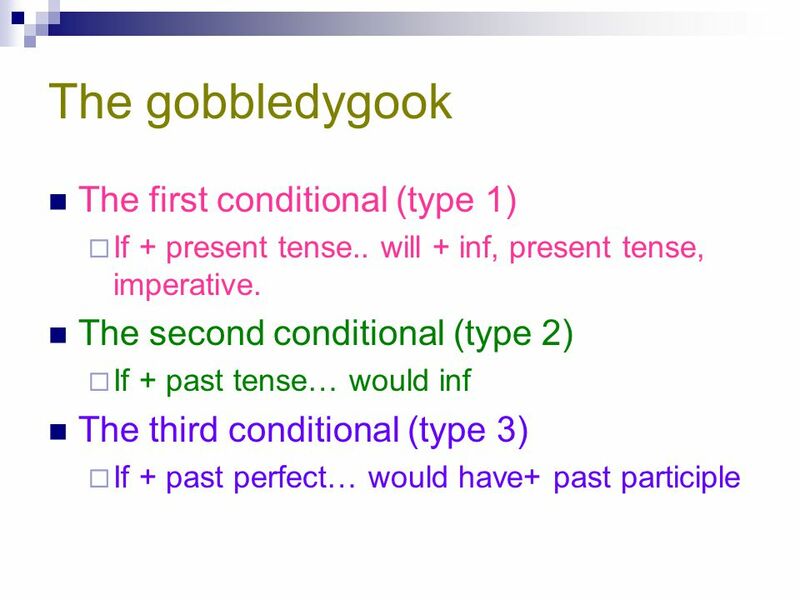 I have added a page of gobbledygook at the end for those interested in the language of grammar. 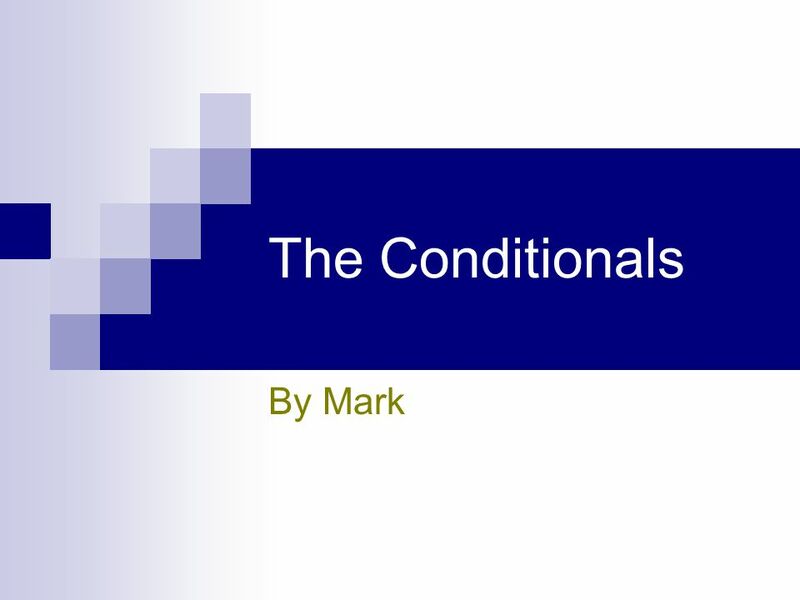 Download ppt "The Conditionals By Mark." 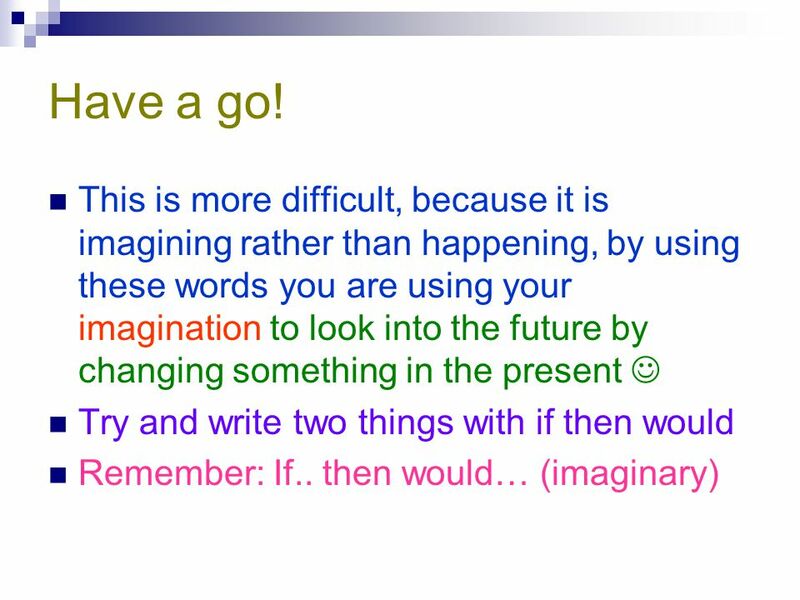 tenses can be used to show when something happened MALT ©2007 Smart– Interactive Lessons – Language, Grammar. Things that have already happened! Countries and the Present Perfect Help Use in situations 1.Past actions connected to the present Example: Sally has been absent for a week. Modals: Past Tense Can, Could, Will, Would, Should. I WISH I wish my friends WAITED for me at the station I wish I HAD SEEN the film I wish you WOULD STOP talking at class. 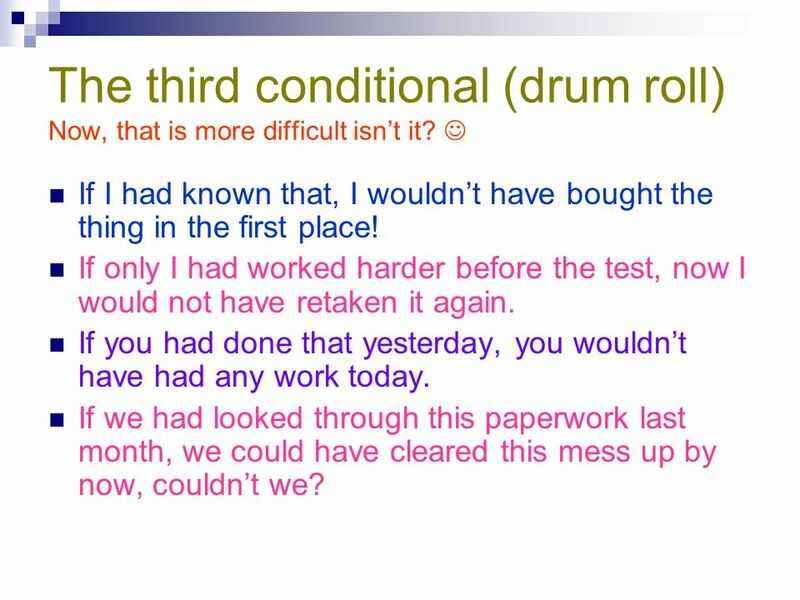 Third Conditional. If I had put on my new dress he would have asked my telephone number. I don’t dare ask her name. I wish I had trained to be an economist! 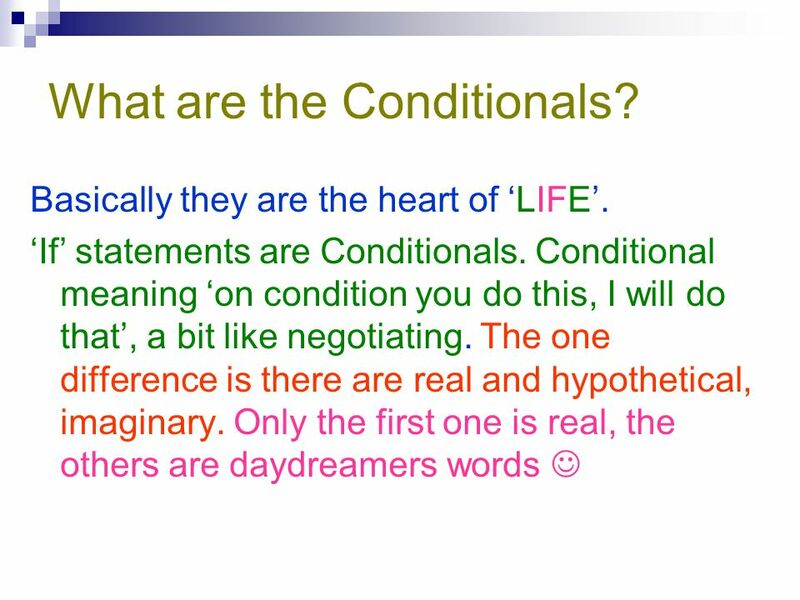 Conditionals. Conditional Sentence – Type 1 True in the Present or Future If you don’t eat breakfast, you will get hungry during class. Is this sentence.